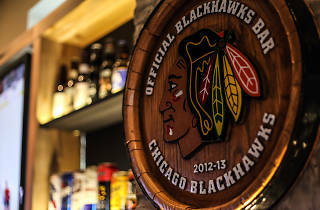 Cheer on the Chicago Blackhawks at the Ogden. There's no better place to watch a Blackhawks game than the United Center, but when ticket prices fly through the roof and the boys are on the road, you can't always make it to the game live. 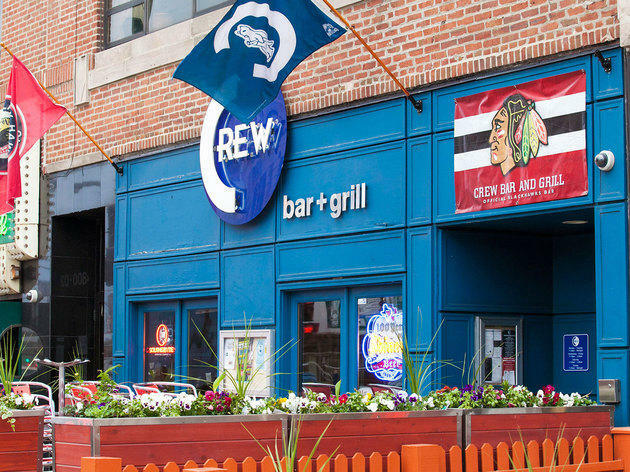 When you want to cheer on Patrick Kane and Co. and don your best lucky jersey with a group of fellow fans and celebrate each goal with a great craft beer, head to one of our picks for the best bars to watch the Blackhawks. The bar stools at this sports bar are extra-wide, and the dark room (yes, even in the middle of the day) draws the focus to the game shining brightly from the numerous TVs. It looks as if the nearby United Center may have some competition on its hands: Here you see the game better, cheaper and more comfortably than you would if you were actually there. 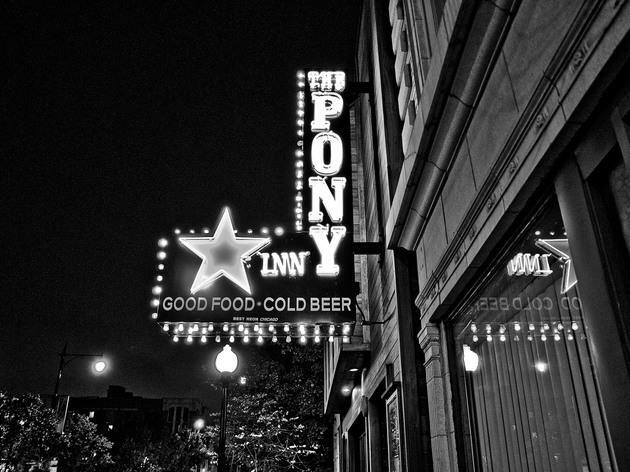 Doing its part to keep the West Loop from succumbing to all the glitz and glamour of Randolph Street is this good-natured, low-key tavern, which carries upwards of 100 beers. If you're not sure where to start, ask the beer-geek bartenders and they’re happy to explain. 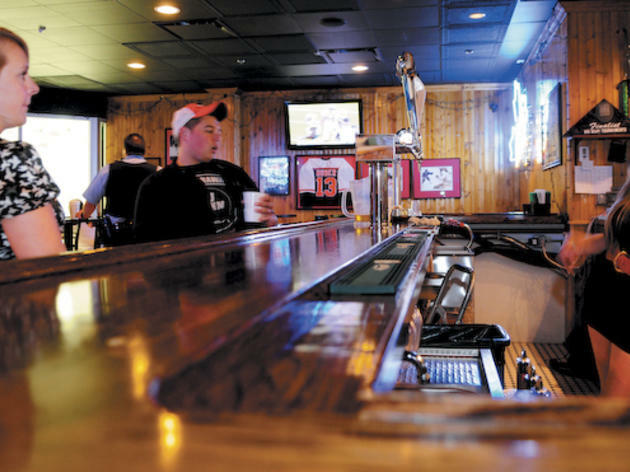 The rust-colored tin and sleek blonde wood covering every surface mean it's one of the prettier sports bars around. 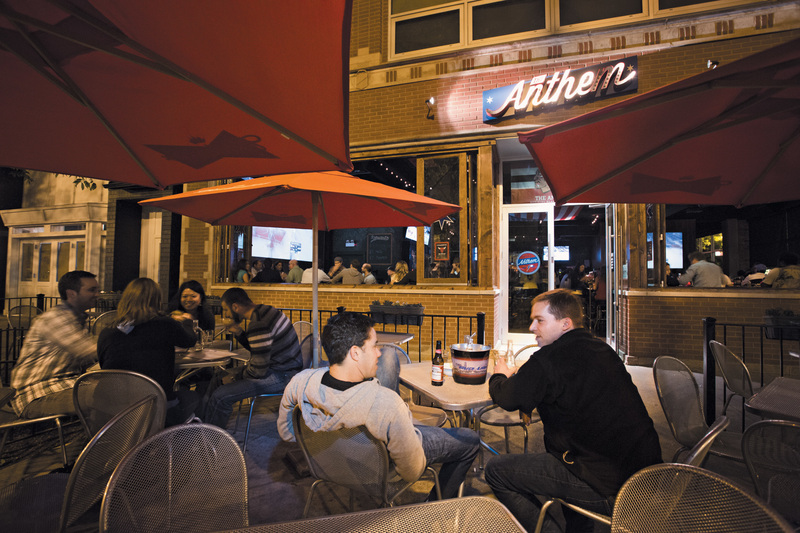 Add in a plethora of TVs and food and drink specials for every Hawks game, and there's no need to go anywhere else. 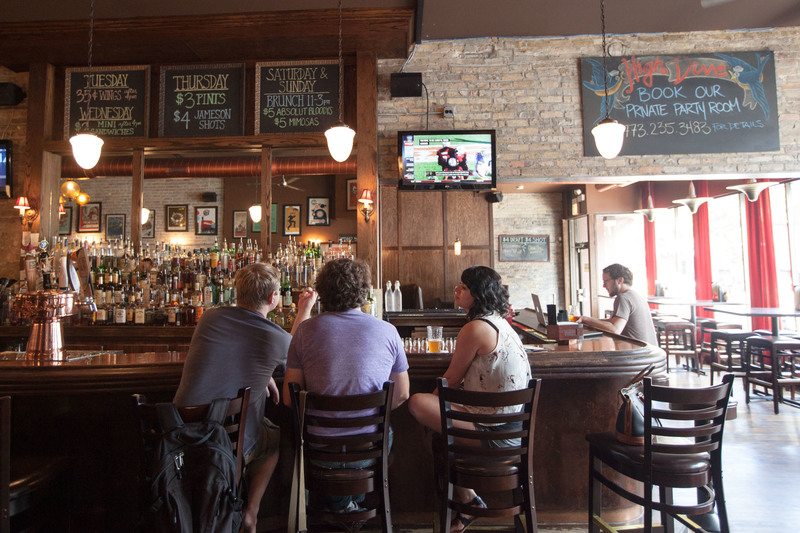 Whether you’re hungry for hockey or just beer, this straight-friendly gay sports bar will work. 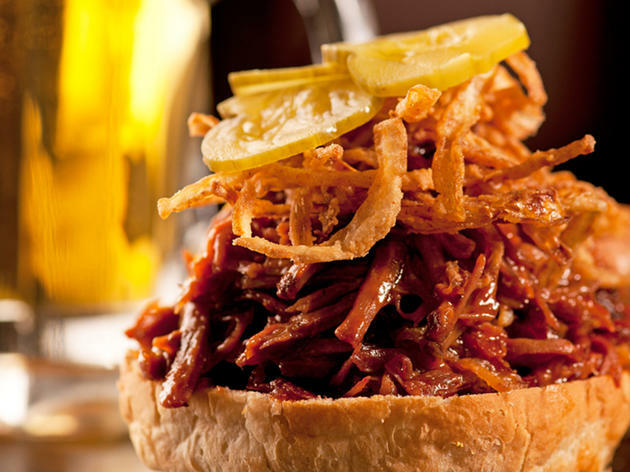 With plenty of beers on tap and even more in bottles and cans, tasty pub grub, lots of TVs and a rah-rah decor make this a fun place to cheer for your team, whatever team you’re on. 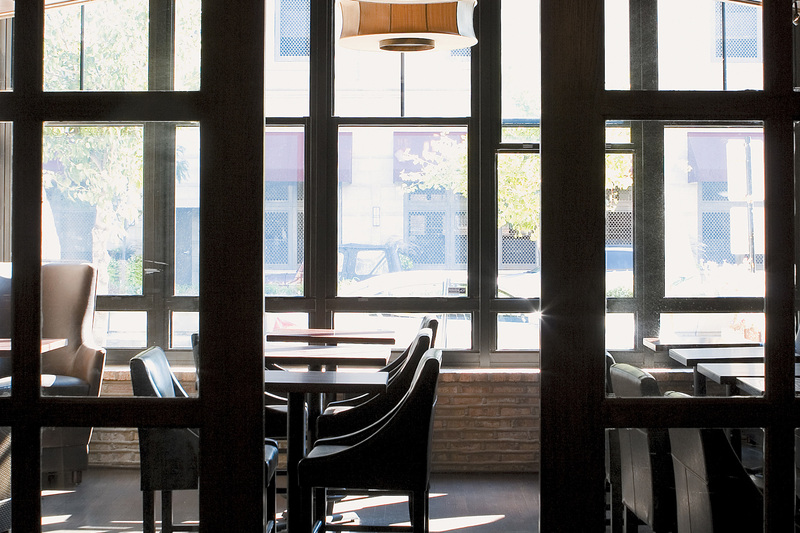 Exposed brick and plasma-screen TVs have taken the place of worn pool tables and dart boards after a fire forced a redesign of this neighborhood dive. 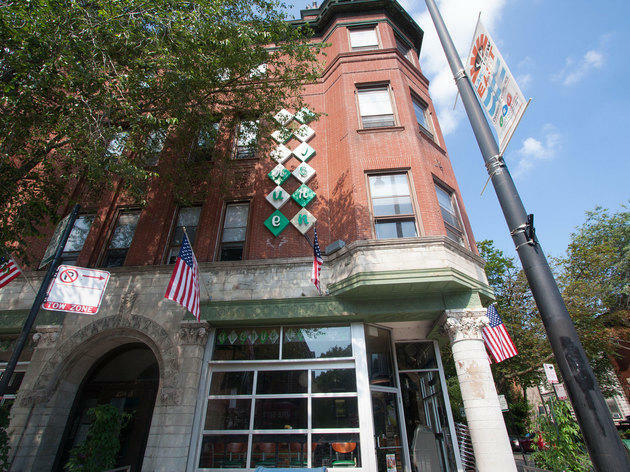 But while the digs may be snazzier, the signature pan pizza—in all its glory with a ring of caramelized cheese around the crust—remains the same. 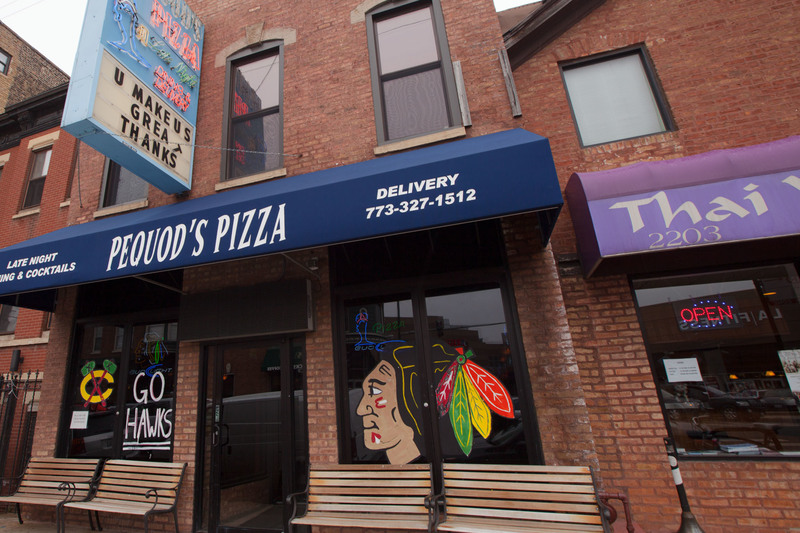 Order up a few for the table while watching the Hawks game. 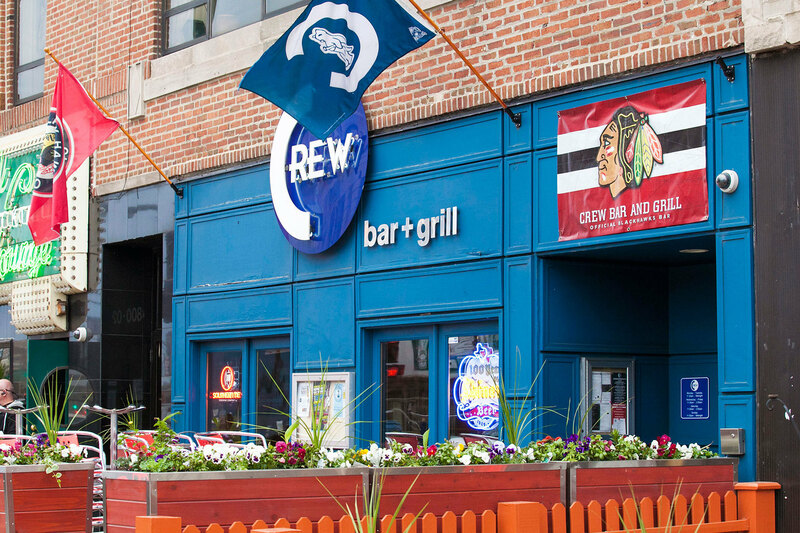 Overlooking the ice at both the east (1350 W Madison St) and west (2550 W Madison St) outposts of this full-service local hockey rink, the Stanley Club features a full bar and plenty of screens tuned to the game. With the smell of the ice in your nose and a 'dog in your hand, you'll swear you were there yelling at the refs in person. 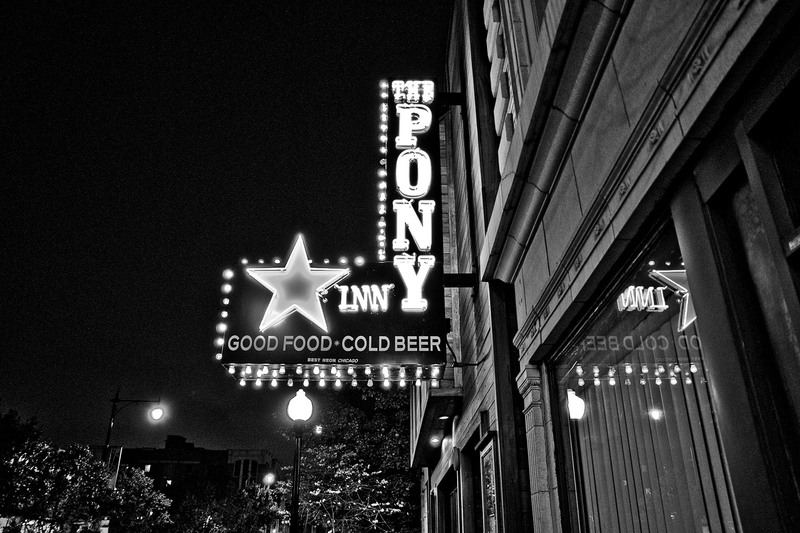 It’s got the requisite menu of fried food and burgers, televisions in every corner and a shot-and-beer–loving clientele. 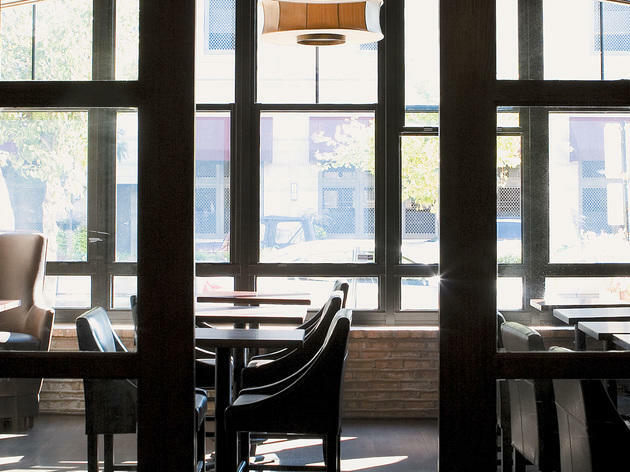 But the surroundings—stone walls, glass facade—lend this Lakeview sports bar a sensibility so laid-back and inviting that even the least sports-enthusiastic people can get into it. 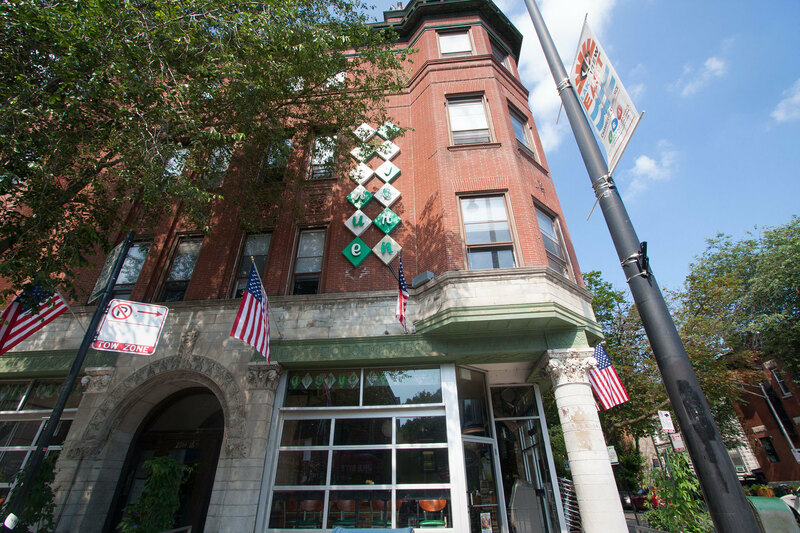 The first thing you see is the game, projected onto the wall to a scale so large it’s visible down the block. Then the hightop communal tables, the ceiling draped with an American flag. You take a seat and there’s a bartender who’s as happy to make you a cocktail as to crack open a PBR tallboy. He serves you a Jucy Lucy, a stroke of Minnesotan genius that injects a greasy, juicy burger with Velveeta cheese. And that’s the last thing you can, and need to, remember. 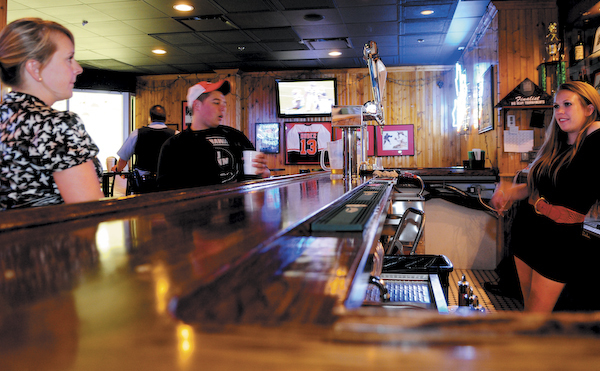 Flat screens show hockey and other sports, and the kitchen puts out authentic Dairyland fare. Butter burgers—topped with ketchup, pickles, raw white onions and, of course, a buttered, grilled bun—are cutely wrapped up in butcher paper. 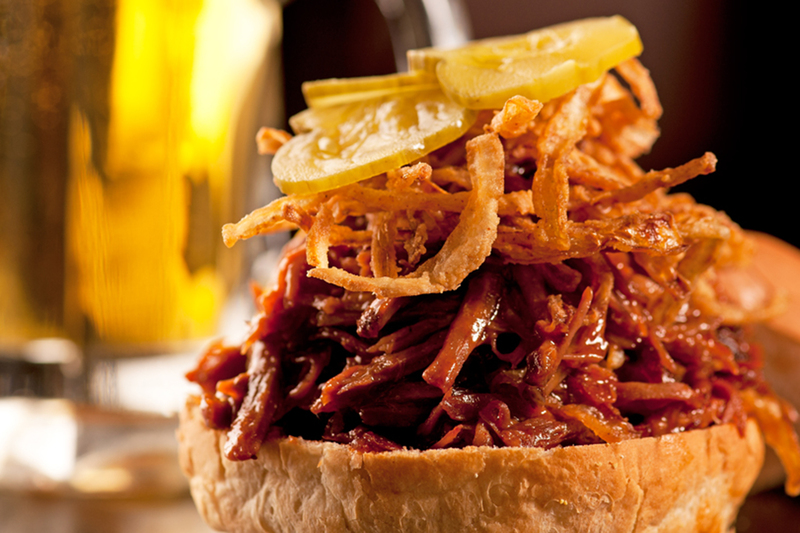 Otherwise, thin-crusted pizzas and chewy, golden fried curds make good beer accompaniments. 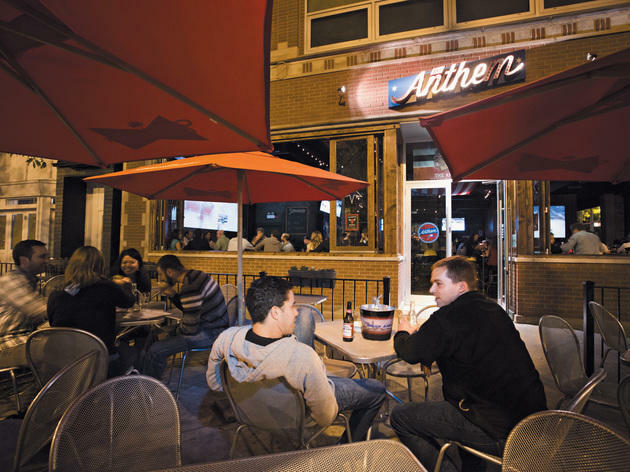 By selling beer and being located in the direct path of the throngs of people coming to and leaving the United Center, this slick sports bar has the hard part of its job covered. Completing the task are superbright TVs on every surface, including in the booths; a surprisingly good beer selection; and a hell of a burger. 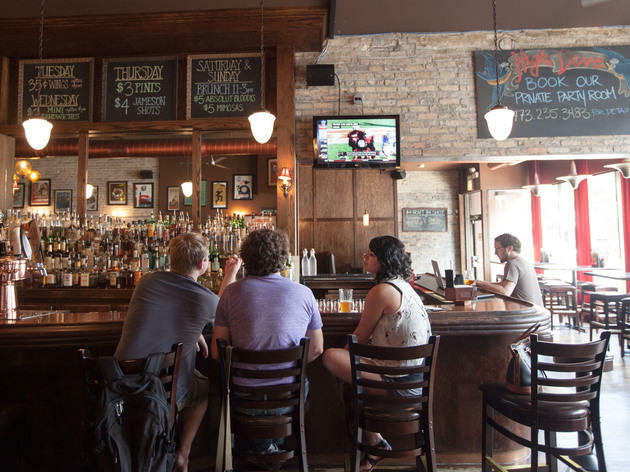 With five professional sports teams and tons of college allegiances, it's a good thing that Chicago has many great sports bars. 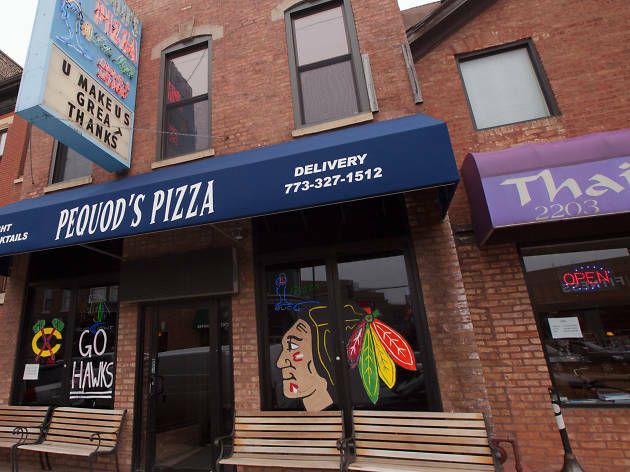 Whether you want to watch the Blackhawks, the Bears, the Bulls or the Cubs or Sox, or cheer on your college team, here's where to go.